Emma from Ashcott in Somerset passed her DAS (Direct Access Scheme) Mod 1 today. Congratulations! She was a natural, and did really well. Some people are born to ride a motorcycle. 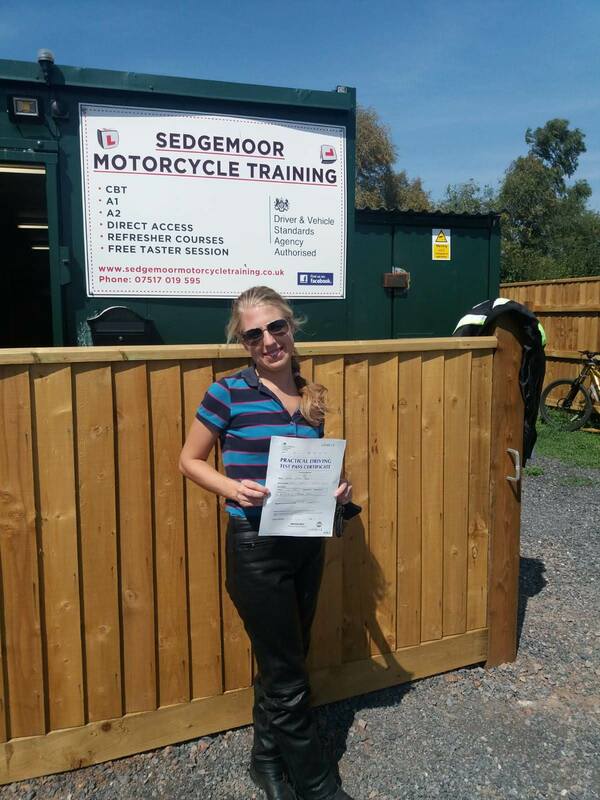 Sedgemoor Motorcycle Training can get you through your DAS and make you a better rider in the process. We have experienced DVSA approved instructors and excellent motorbike training facilities in Bridgwater, Somerset. If you would like to do your DAS or any other motorcycle course, give us a call on 01278 393323.